The hammer in its tool-being, then, is not just simple. It is also a vast relational compound arising from numerous subservient or contributing entities. But by the same token, the hammer in its breakdown is also not just a relational phenomenon lying on the outermost surface of reality. After all, the hammer in this case exists in relation to me. And such a relation is a genuine entity in its own right, an interior space possessing some features and lacking others. In fact, the relation between me and the hammer is nothing less than a new object in its own right. My perception of the hammer, whatever its features, is therefore something that takes place on the interior of an object. Any space is a space on the inside of an object. There is no transcendence that strips free of all location—no starry, windy space of freedom or Angst to which humans arise and survey the world from a mountaintop. Instead, we are like moles or mining-machines, burrowing from one zone of reality to another, sometimes finding ourselves in better places than others, but never in a place from which we can survey all the rest. It is well known that Franz Brentano’s full name for intentionality is “intentional inexistence.” This is usually taken to refer to objects existing inside human consciousness, when in fact it really means that human consciousness is always on the inside of an object. Heidegger’s concept of “dwelling” was first introduced in 1951 in the famous Darmstadt lecture “Bauen Wohnen Denken” (Heidegger, 1954). It is inseparable from his model of things as mysterious fourfold structures. The thing is a mirror-play of earth, sky, gods, and mortals; to dwell means simply to let this fourfold be what it is. While no major concept of Heidegger’s career has received less detailed treatment than the fourfold, I hold this to be a tragic mistake. The following article outlines the key features of Geviert and tries to show why Heidegger’s fourfold has great value for the near future of philosophy, despite the apparent opacity of its poetic terminology. 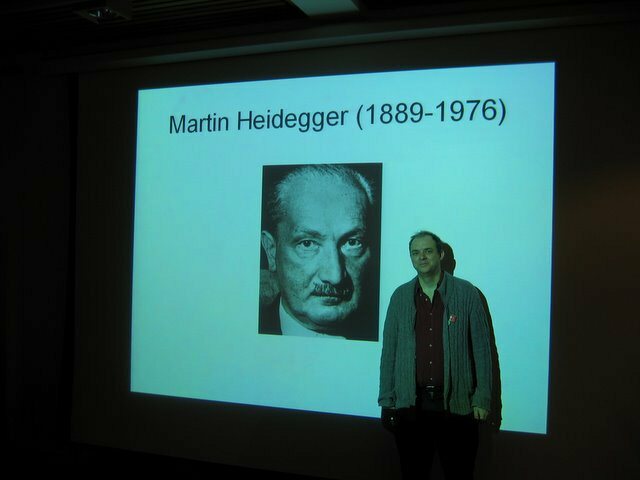 We can start from the beginning, with Heidegger’s (1949/1994) reflections on “the thing” in Bremen, which later appeared as a spin-off essay of the same title. It’s a clever title for a clever article, as Harman does exactly that: he lets the fourfold be what it is. Granted, it is still Harman’s interpretation of what Heidegger’s fourfold means, but it is a convincing one. Although one could also argue that if this interpretation arises out of dwelling with the fourfold, then it is not simply an interpretation but an outcome that is hardwired into the method of the fourfold. Which is not to suggest that ‘practicing the fourfold’ is a trivial matter. Far from it. As Harman suggests above, this still seems to be a rather neglected kata of Heideggerian martial arts. Readers of Harman’s Tool-Being will recognise the article’s argument. For those who haven’t read Harman’s book yet or are not familiar with his work, this article could be a good way to enter this problem area. However, I would still recommend following it up with reading Harman’s chapter on the fourfold in Tool-Being, alongside Heidegger’s original essays, of course. 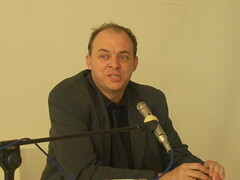 Nonetheless, Harman does move on from his argument in Tool-Being, and the article could be considered a speculative realist critique of Heidegger’s fourfold. This critique however seems to strengthen Heidegger’s original insights further, and can be understood as a retrieval of the essence of Heidegger’s argument. Interestingly the article also makes the connection with actor-network theory and Bruno Latour, although this link is not mentioned explicitly. However, the discussion of “infinite regress” and occasionalism in Heidegger will remind readers of Harman’s evaluation and critique of Latour’s metaphysics in Prince of Networks. Indeed this article could be thought of as the link between his interpretation of Heidegger’s fourfold in Tool-Being and Harman’s own fourfold structure presented in the final chapter of Prince of Networks. A review of Graham Harman’s Prince of Networks: Bruno Latour and Metaphysics in The Philosophers’ Magazine by Brian Smith from the University of Dundee. 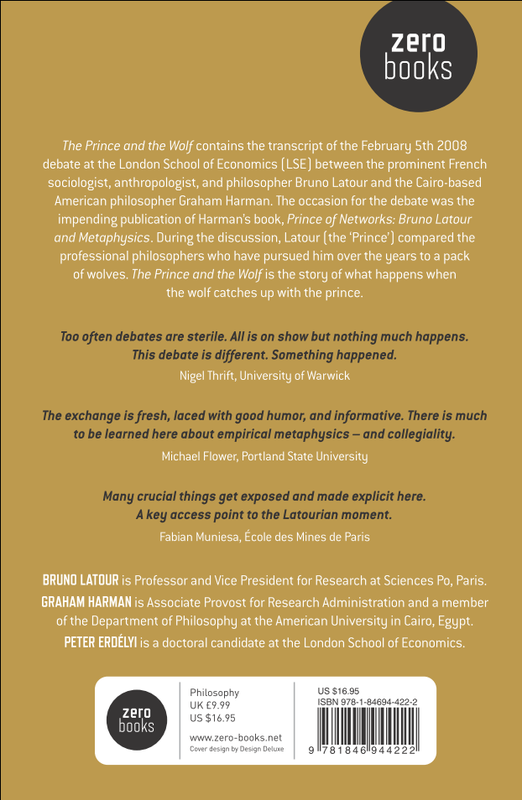 The aim of Prince of Networks is twofold: it is both a secondary text, introducing Latour to a wider philosophical audience, and a primary text, presenting Harman’s own increasingly well-formed and complex “object-oriented” philosophy. The latest contribution to the Heidegger-ANT axis comes from Lucas Introna (2009): “Ethics and the Speaking of Things.” Theory Culture Society 26(4): 25-46. This article is about our relationship with things; about the abundant material geographies that surround us and constitute the very possibility for us to be the beings that we are. More specifically, it is about the question of the possibility of an ethical encounter with things (qua things). We argue, with the science and technology studies tradition (and Latour in particular), that we are the beings that we are through our entanglements with things, we are thoroughly hybrid beings, cyborgs through and through — we have never been otherwise. With Heidegger we propose that a human-centred ethics of hybrids will fail to open a space for an ethical encounter with things since all beings in the sociomaterial network — humans and non-human alike — end up circulating as objects, enframed as `standing reserve’, things-for-the-purposes-of the network. We suggest that what is needed is an ethos beyond ethics, or the overcoming of an ethics — which is based on the will to power — towards an ethos of letting be. 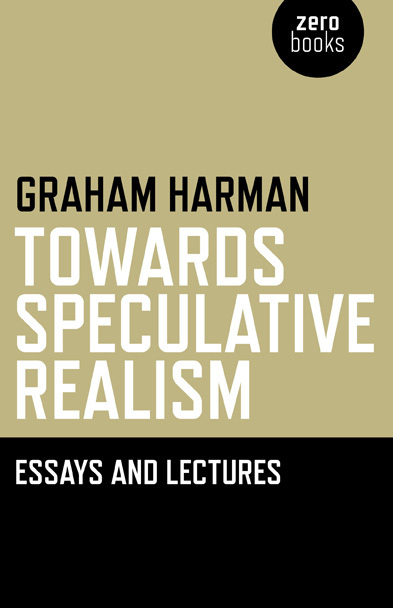 We elaborate such a possibility with the help of Heidegger, in particular with reference to the work of Graham Harman and his notion of `tool-being’. From this we propose, very tentatively, an ethos that has as its ground a poetic dwelling with things, a way of being that lets being be (Gelassenheit). We show how such a poetic dwelling, or ethos of Gelassenheit, may constitute the impossible possibility of a very otherwise way of being with things — an ethos of a `community of those who have nothing in common’ as suggested by Alphonso Lingis. You are currently browsing the archives for the Phenomenology category.